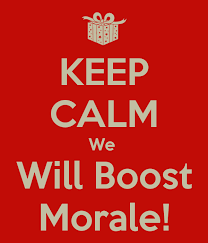 Raising morale within Youth Work : Charlee Brewsher wonders how? – How do we keep youth voice real, genuine, and not tokenistic, when managers and local councillors want a particular outcome rubber-stamped? – How do we give a voice to the concerns of young people when these conflict with employers’ policies or direction of travel? – How do we do this and not get passed over for promotion or lose our jobs in the next round of redundancies? – How do we create a safe space for young people to engage and be challenges by political perspectives, in light of the Prevent Agenda? – Are we responsible if young people do become politically active and engage in activities that we might ‘frown’ upon? What struck me was the morale of workers; a sense that there was nothing that could be done. Youth workers, in their nature and in their soul, are political beings that strive to re-balance the world and they felt trapped and unable to move forward; caught up in the need to tow a line they didn’t believe in. Partnership and working with others who perhaps aren’t constrained by ‘hidden’ agendas or rules. Who because they are outside of financial or political control, can support young people on issues we can’t. The voluntary and faith sectors have a huge history of campaigning, perhaps it’s time more of us took up these opportunities. The universities offered spaces to meet and expertise in research and outcomes and monitoring. The Network of Youth Work Units, with their knowledge of different groups, can help form partnerships, can support both local and regional campaigning work, put on training for the youth sector and young people, and be a listening ear. In our limited way IDYW has tried to be a part of building such a collective response in which a politics as well as an ethics of youth work is resuscitated. We would be delighted to be part of any future collaborative work proposed.